AutoCAD team celebrates their 35th anniversary by featuring 35 top young architects, engineers, artists, project managers and makers. Five has been featured, you still can get on the list! Autodesk finally release a new version of Design Review after 5 years! What does it mean? 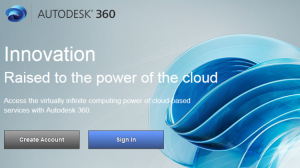 Autodesk will continue to support Design Review? There’s a change that we might be overlooked in subscription model: Now the license is assigned to a specific user. How does it affect you? BricsCAD Review: Can it replace AutoCAD? Is BricsCAD good enough to replace AutoCAD? Does it have the exact look and features like AutoCAD? Can it open my existing drawings? Read our review here! Autodesk officially announced that the maintenance plan price would be increased and offer discount if you make a switch from maintenance plan to subscription. István Csanády from Shapr3D shares about the hottest topic these days in CAD World: What is the future of Mobile CAD? How can we implement it in today’s workflow? Autodesk released a tool to allow you check your hardware. A nice little tool to confirm that your hardware can run the software seamlessly before you install it! AIDA can help you to troubleshoot installation issue. Have you tried it?